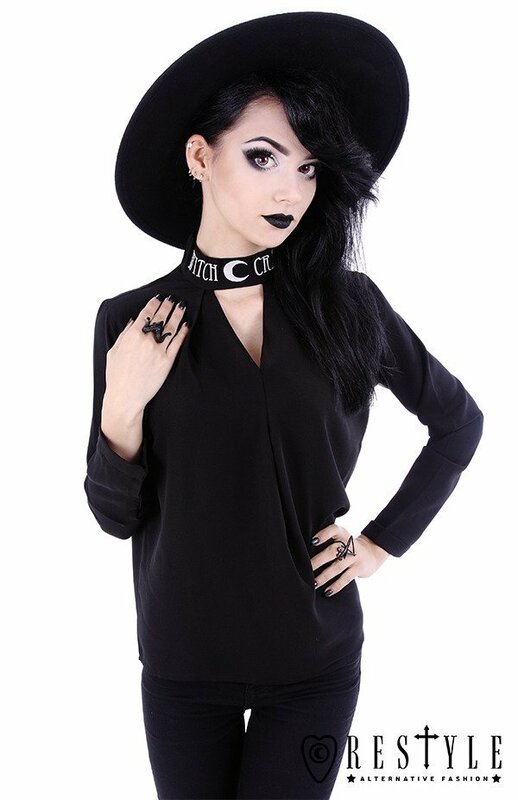 Witchy shirt with triangle neckline, embroidery, gothic blouse "WITCHCRAFT SHIRT"
Made of soft, black fabric (100% polyester). 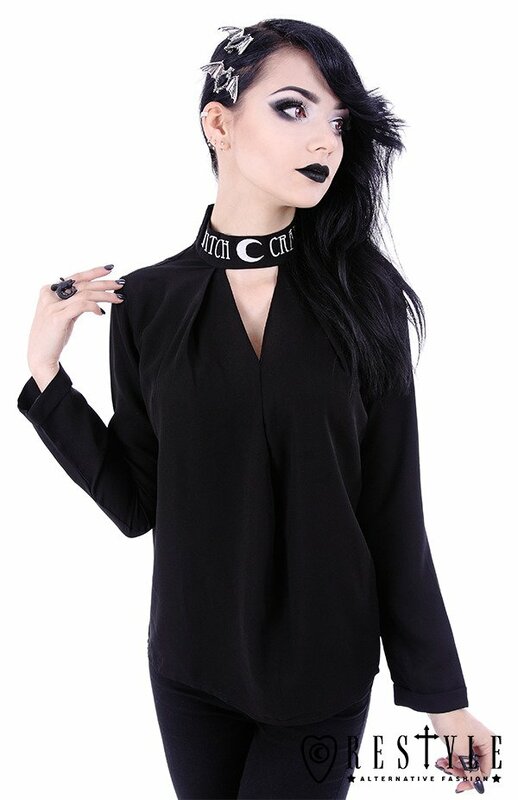 Oversized shirt with triangle neckline and a neck strap with "witchcraft" embroidery and a crescent. Shirt has long sleeves and hidden zipper on the back. 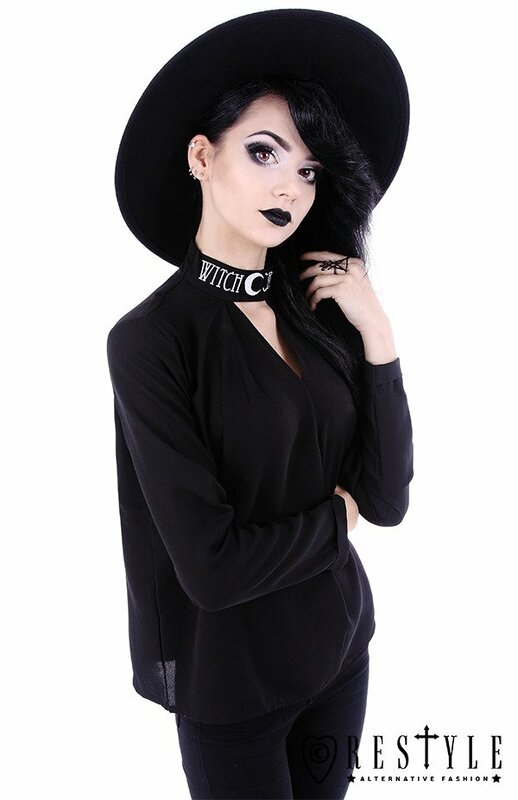 Perfect blouse for every woman who loves dark elegance and feel the witchy vibes. Shirt is oversized, please choose a size you usually wear. It is very elegant and makes you look good in every important situation! Great classy shirt! Fits nice. 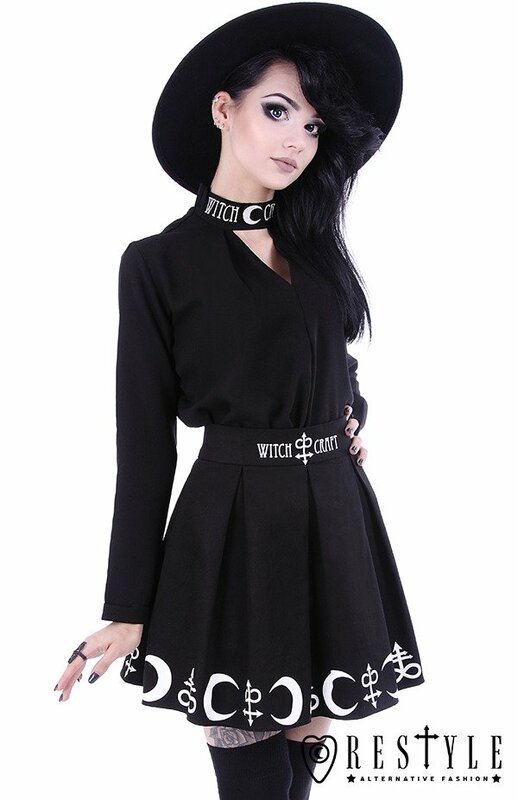 I am used to quite long sleeves with Restyle, that's unfortunatly not the case with this one, but it is not a problem. Beautiful shirt. 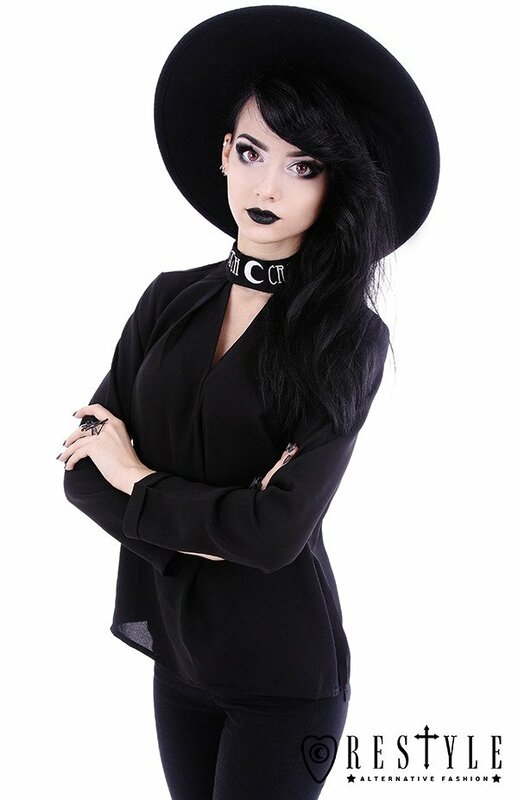 It is a little bit too large around the neck, but still has an overall nice fit.